Dama Ali is a broad shield volcano that rises above the NW shore of Lake Abbe (also known as Lake Abhe) in eastern Ethiopia. The 25-km-wide volcano was constructed at the southern end of the Kalo Plain. Nested circular craters are located at the summit of the dominantly basaltic volcano, which also displays an older caldera rim. An arcuate chain of rhyolitic lava domes occupies the northern, western, and southern flanks. Youthful basaltic lava flows surround these domes and blanket the flanks of the volcano, and recent flows cover the young sediments of the Kalo and Abhe basins. The Asmara basaltic pyroclastic cone located in the southern Kalo basin SW of the base of Dama Ali volcano and was considered to have had activity during the last 2000 years (International Association of Volcanology and Chemistry of the Earth's Interior, 1973).  Dama Ali is considered the most likely source of an eruption reported to have occurred in 1631 (Gouin, 1979). Major fumarolic activity occurs in the summit crater, and abundant hot springs are found on the volcano. Feu d'artifice au Stromboli, un volcan actif en Italie.